Plenty of artists count pencils among their most indispensable tools. But none more so than Salavat Fidai. The artist works in a number of mediums—many of them miniature, including paintings on matchbooks or pumpkin seeds—but his most striking creations are carved into the tip of a pencil. With just an X-ACTO knife and some carpenter pencils with thick lead, Fidai creates faces, figurines, and even a teeny tiny Colosseum. 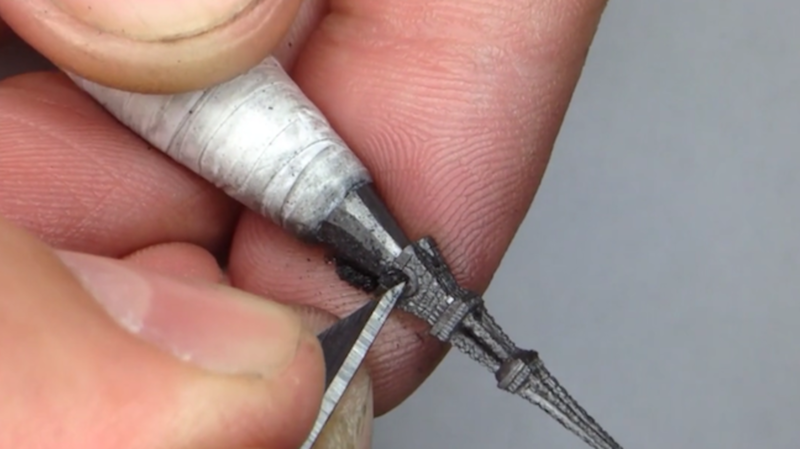 Eiffel Tower Pencil Carving by Salavat Fidai from Colossal on Vimeo. You can check out even more pencil tip sculptures on Fidai's Instagram.